If you want to share a phone line, this is the easiest way! The Exclusion/Privacy Device is for sharing lines between phones, modems, credit card machines, etc. Keep in mind that this device will let you share phone lines for both incoming and outgoing calls, but they have no way of routing incoming calls. That means that only one of the devices should be allowed to automatically answer the line! We get lots of calls from people wanting Line In-Use indicators, so they know when the modem or phone is in-use and they don't interrupt the call when making an outbound call. The Exclusion/Privacy Adapter will do it automatically. Then we get calls from people who want A/B Switches, to manually switch a line between two or more phone. The Exclusion/Privacy Adapter will do it automatically for outbound calls. These devices work on the Voltage Drop principal! A standard phone line has 48VDC (or so) of talk battery, which drops to 6 - 15VDC when a phone is taken off hook. The Privacy Devices are placed in front of each phone or modem, and know that the line is busy (off-hook) if the voltage drops below a threshold of 24VDC. If the talk battery is below 24V, the device won't conduct electricity so the phone won't be able to pick up the line. Because of that, you can't use the regular Privacy Devices on Key System or PBX stations that have 24V talk battery (use our 24V Privacy Chip which has a 12V threshold). You can't use these on very long cable runs because the voltage doesn't drop much on the other run when you go off hook. If the voltage doesn't drop below the threshold of the Privacy Device, the Privacy Device won't exclude. They must be put in front of each device that you want to be excluded from the line when it is busy (you can't just put it in front of the phone you don't want interrupted). You can't put two of these in-series! Some Credit Card Terminals (and other devices) already have these built-in, so if you can't use a Privacy Device on these terminals (can't put two in-series). The telephones or other devices have to be within a couple of hundred feet of one another. They generally won't work between buildings. These will only work on phone lines with 48 Volt talk battery (the only 24V Privacy Device we have is the 24V Privacy Chip). White/Blue in and White/Blue out. Put one in-series with the pair going to each phone. Put one on the pair to each phone or device. Put it at the NI, the frame, on a 66 block, at the jack, or even inside the phone (not a good idea since you can lose track of it if you need to replace the phone). One side of the Hardwire Privacy Device is punched down on the 66 block, and the station cable (or jumper wire) is 'beanied' to the other end. Includes beanies. It looks like a diode, but it's not! 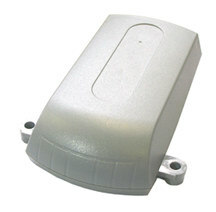 It only works on PBX or Key System Stations, or VoIP devices with 24V talk battery. Use one in-series with either the tip or ring going to the phone (it doesn't matter which). Put one at the frame, on a 66 block, or at the jack. If you put it at the frame, you may need to put one on both the tip and ring to prevent an imbalance. The longer the cable run, the better the chance you will hear hum or other noise on the line caused by the imbalance. Putting it on both the tip and ring will keep the line balanced (tip and ring the same length). One end of the Privacy Chip is easily punched down on a 66 block, and the station cable (or jumper wire) is 'beanied' to the other end. If you put it at the jack, it's unlikely you'll need to put one on both the tip and ring, since there's only the mounting cord (around 7') after it. 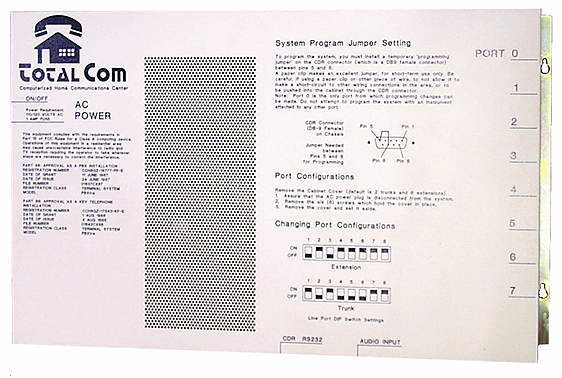 Only works with 24VDC talk battery, like you'd see from an analog station port or VoIP device. It won't work on a regular 48V phone line. Don't you hate it when your answering machine doesn't realize you picked up? This device will make sure the answering machine is gone when you pick up the phone! Just plug the answering machine into the ANS jack, and your phone into the TEL jack. As soon as you pick up the phone the answering machine will shut off! 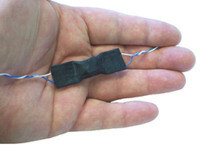 Only works on phones lines with 48VDC on-hook talk battery (voltage). 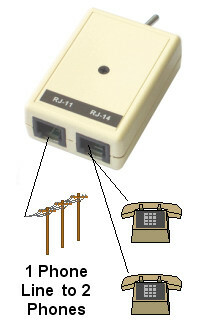 It probably won't work on an analog extension from a phone system, on some VoIP analog telephone adapters, or some cable company phone lines (fake phone lines) because they have less than 48VDC talk battery. Takes the line away from whoever's on it! The line powered Priority Line Grabber™ allows a phone to grab a phone line (whether it’s busy or not), to make an outbound call. If used in a Life Safety application like a 911 phone, Elevator Phone or Pool Phone, be sure the customer agrees in writing to check the operation on a regular basis (or don't sell it to them). Something may go wrong with the line, the pair, the Priority Line Grabber™, the hot line or speed dialer, or the phone. An emergency isn't the time to find out there's a problem! Be sure to call the Police or Fire non-emergency number to let them know you're going to be testing, before the test. NOTE: Inbound calls always go to the Non-Priority Phone. They can never go to the Priority Phone. When the Priority Phone goes off-hook, the Priority Line Grabber™ hangs-up the line for a couple of seconds to get rid of any existing call, and then gives the Priority Phone a new dial tone. The Non-Priority Phone will be dead while the Priority Phone is in-use. If the Priority Phone doesn’t have a dial, you’ll need a Super Tiny Dialer™ to automatically dial a phone number when the Priority Phone goes off-hook. You may have to add a pause or two at the beginning of the number you program into the dialer. 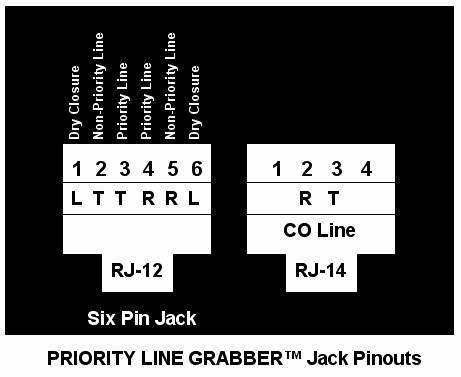 The Priority Line Grabber™ has a Dry Closure (low voltage, low current relay contacts) to allow you to set off a light, bell, siren or alarm to notify someone that the Priority Phone is being used. The easiest way to connect just about any modular device is our Critical+ Solid Wire Modular Cords, available in 2, 3 and 4 pairs (15 feet long wired straight through, so you can cut them in-half to get two cords). NOTE: This is a Dealer Only item, since it must be installed correctly by a technician with the proper cords and jacks to function properly. 4 PORT ABCD SWITCH BOX-4 PINS! 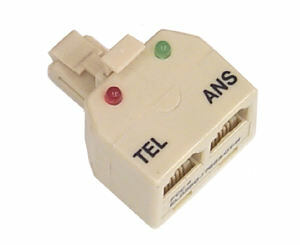 Use for Dial Tone in a shop repairing telephones, or phone systems. When used for line sharing, put a fax on one port and all incoming calls will go to the fax, while the fax will use the next available line for outgoing calls. I DON'T Recommend using the PBXtra as a phone system in your house or business, since modern Key Systems that have a light and button for each line, and a hold button, are MUCH Easier to Use! Even so, there are still some crackpots using this type of phone system (or Centrex) with single line phones, and they just tell you to "Call back if I cut you off while transferring you." That's a pretty impressive way to do business! 48VDC Talk battery - 90VAC 20 Cycle Ring Voltage (2 REN per station). 8 Non-Blocking Universal ports, defaults 2 by 6. DIP Switches select line or station. 8 Mod Jacks on side of cabinet. Programs from first station port (X100), using touch tone phone. Default Dial 9 for CO Line. Program other Trunk Groups as desired. Gives Busy Signal if all trunks busy. Incoming calls can be programmed to ring at any station. DISA feature answers an incoming call and allows caller to get dial tone, and dial an extension number (or trunk access code) when calling into the system. The caller must know what extension number to dial. There are no voice prompts. NOTE: Allowing DISA on a system with CO line access is dangerous, since anybody can call into your system and then dial out again. Dial out Tone or Rotary on CO Lines. Stations can use Tone or Rotary Phones. 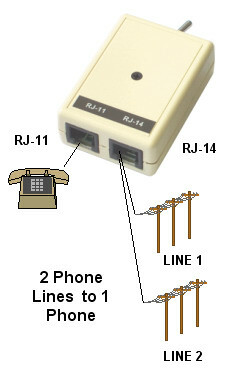 CO Lines must be programmed for Rotary, to allow rotary phones to dial outside the system. Programmable ACD (Automatic Call Distribution) Feature. Maximum data speed of 28K from Stations. RS-232 port for SMDR (Station Message Detail Recording) shows all calls made and received (the PBXtra does NOT receive or pass Caller ID).